Is Becoming An SEO Copywriter The Right Job For You? But first, what is a copywriter? Copy is a word to describe text that writers produce to promote a product or service. In business, writers write copy for brochures, sales letters, business mailings, catalogues and magazine or newspaper advertising. The purpose of copy is to inform or persuade people to take a certain action, such as to buy a product or service. Today, copywriting has become a synonym for content writing or digital copywriting. 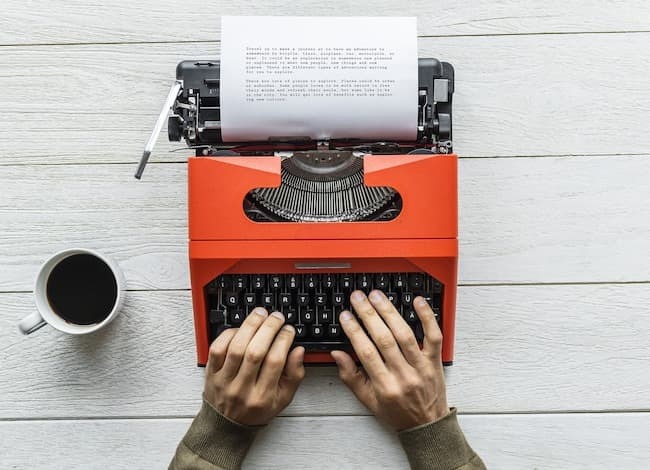 Due to the marketing power of the Internet and social media, writing compelling copy is now an essential marketing tool. For businesses large and small, getting the message out is always a priority. Online content marketing or corporate storytelling is one of the most important marketing strategies almost all companies use today. It is why good writers and good writing are in high demand. Many of my readers are authors. Perhaps without knowing it, you are already writing a lot of copy to promote your books. You might call it writing blog posts, but it is primarily copywriting. If you can write well, you can probably write persuasively and write decent copy. To become a successful copywriter nowadays, you have to know a little about Search Engine Optimisation (SEO). You don’t need to be an expert, but you need to know some of the basics. Copywriters work to produce persuasive content but it needs to meet two objectives. One is to attract a reader’s interest and the second is to get the attention of search engine algorithms. It sounds like a battle between humans and machines. In a sense it is. You need to write to satisfy both. Creating reader interest usually takes the form of informing, answering questions and needs or appealing to a particular emotion. A search engine doesn’t respond to any of these points. It wants the basic key information so it can file things in the right place so that readers can find it quickly. SEO helps search engines do this. Writing well for search engines like Google will be rewarded with a higher search ranking. A top listing on Google will bring in more readers. Writing well for readers will keep their attention for longer, which will also help improve SEO ranking. These are the two ingredients of the secret sauce of excellent content writing. Happy readers and happy algorithms. Years back, writing online articles, posts and copy meant stuffing the text with keywords to get the attention of search engines. If you needed to write about a better mousetrap, the phrase “better mousetrap” had to be mentioned 10 to 20 times in the text. It made for awful reading. Thankfully, search engines now penalise this practice and instead want articles that are long form, semantically diverse and above all else, reader-friendly and highly informative. In other words, search engines now want you to write for your reader first, and for their algorithms second. So how can you do this when you have to write an article for a client around the keywords, a better mousetrap? Imagine that your brief as a copywriter is to write for a company that wants to market a new and better mousetrap. Start by writing a story based on these keywords. There are hundreds of ideas you could use. Perhaps a tale about an old cat or stolen cheese. You could tell a story about how your father used to set traps for mice in the kitchen and how much your mother dreaded opening cupboards. You could ask questions that a reader might have. Do you have mice in your garage? Is your cat too lazy to chase mice? In writing a story, you will inevitably use words that are associated with a mousetrap. In SEO speak, these words are semantic or related in meaning. Words such as mouse problem, pest control, rodents, spreading diseases, contaminate food, rats and mice, trap and bait are all words that are related to the keyword. You can research semantic words, but a good writer with a thesaurus will include these words naturally. Once you finish writing the story, you need to format the text for online reading. Reading on the web is different because people want information fast. They want easy reading too. The main factors for good online copy are short sentences, no chunky paragraphs and clear headers to guide a reader. Text needs to be broken into small bite-sized chunks, especially for small screen reading on phones. Bullet points and numbered lists are also advantageous. The most important ingredient for good writing is perfect grammar. By far the most popular tool for content writers is Grammarly. I use it every day and would be lost without it. Grammarly finds errors but more importantly guides you to better choices in both vocabulary and grammar. So far, any writer can usually write a great story and then format the text. Every online content article needs a title. It is called the Title tag or H1 tag. You need to use your primary keywords in this tag. For example, Do you need a better mousetrap? My father always wanted a better mousetrap. Is a better mousetrap possible? The title very often becomes the article’s URL or web address. You can always see a page URL in the address bar of your browser for any web pages you view on the Internet. It looks like this. Occasionally, the URL may need editing if it is too long, but this is usually the job of a webmaster. It is good practice to add a sub-title before the main text. It is often marked as the H2 tag. It shouldn’t include the keywords but should include semantic equivalents. Within the content, or body text, you should use the keyword once, but no more than two times. It should be rich in semantic words though. During editing, look for more related words that can be added, and remove any overused or duplicated words. Paragraph headings need to be added to break up the text. They also have high SEO value, so they should use the H3 tag. Using bold, italic and underlined text for emphasis is also noticed by search engines, so they should be used. But in moderation. Images help tell a story and also break up text into readable chunks. A good rule of thumb is to have the main image at the beginning of the article, and then one or two more within the piece. 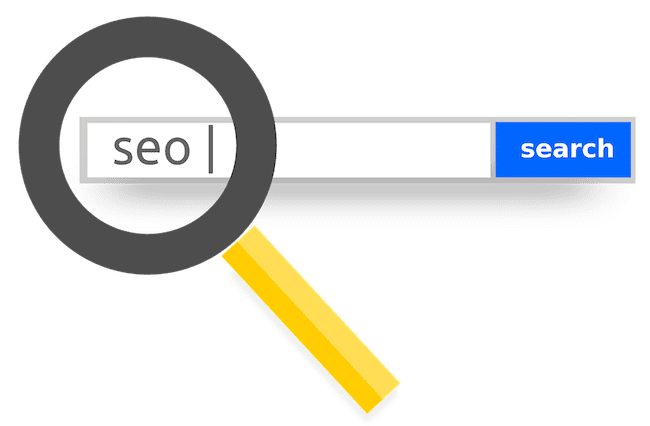 While the title of the article will be visible on a website, the SEO title is what you see when you do a Google search. It can be the same, but it is better practice to have slightly different SEO and main titles to increase searchability. It means that you would use two of the example titles I noted above, and importantly, both must include the article keywords. Like the SEO title, the SEO description is not visible in the article. It is the small text snippet that you only see on search listings. It can be between 150 – 320 words. It is a vital piece of information for search engines, so it needs to be extremely well written. It should describe precisely what the article is about and include the keywords once. Content or copywriters who make a living from writing articles almost always use a professional SEO suite. My preference is Semrush because it comes with so many valuable tools. Not only can I do keyword and semantic research, but I can also track the performance of my articles on other sites. There are Semrush tools to help create content as well as research high ranking articles to gain insights into what readers like. My favourite tool is the keyword tracker. After writing a new article, I can check how quickly it is ranking on Google. It also allows me to run an SEO check on my already published articles to help improve ranking potential and organic traffic. It is not difficult to write great content and then craft it to suit readers and algorithms. It takes a little practice, but it is undoubtedly a skill any writer can learn. There are a lot of ways to make content writing a part-time or full-time job. There are many sites that advertise freelance copywriter jobs. You can also search for companies that are looking for writers by using the search term, write for us. Some content writers earn an income from affiliate marketing by including paid links in their articles but offer the article for free to high ranking websites. Then there are those who write content for their own blog, but use articles to promote businesses or paid links. For authors, publishing content or guest blogging can help book sales. Most articles allow for a byline and bio that contain links to your site. These are highly valuable and will work for you for a very long time to promote you and your books. Online content writing is a diverse industry, but one that is ideally suited to writers who want to work from home and be self-employed. Is it a job that would suit you? Further reading: How trigger words can get you more Google traffic. Derek Haines, thank you ever so for you post.Much thanks again.